This guide is designed to get developers up and running as quick as possible. For a more comprehensive guide see the the Eclipse Guide. In this example we will pretend that your source code is in a directory called geoserver, but a more descriptive name is recommended. Change the Plugin executino not covered by lifecycle configuration to Warning. "src/wcs1_1/target/jjtree/org/geoserver/wcs/kvp/rangesubset/ASTFieldId.java" does not exist. Will create one. Reading from file src/wcs1_1/target/jjtree/org/geoserver/wcs/kvp/rangesubset/rangeset.jj . . .
[INFO] Processed 47 files (0 reformatted). 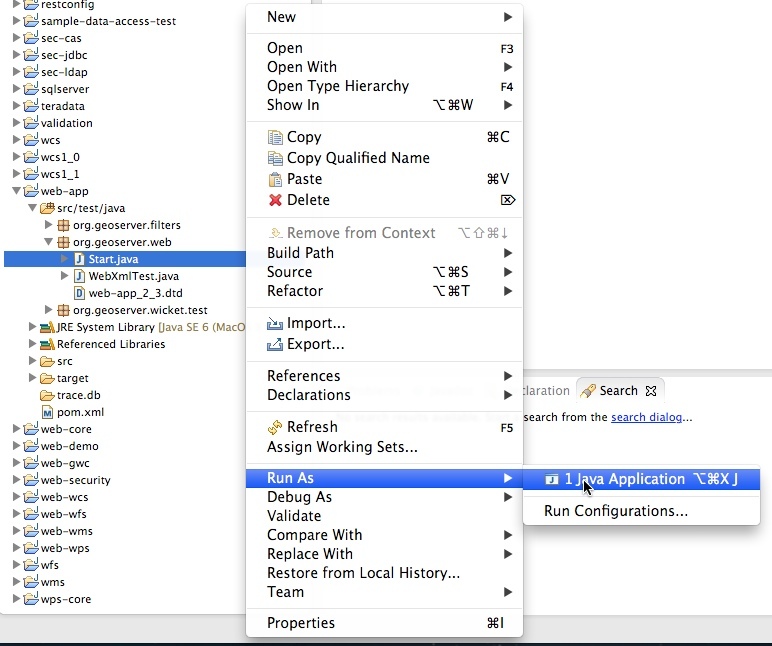 Use File ‣ Import to open the Import wizard. 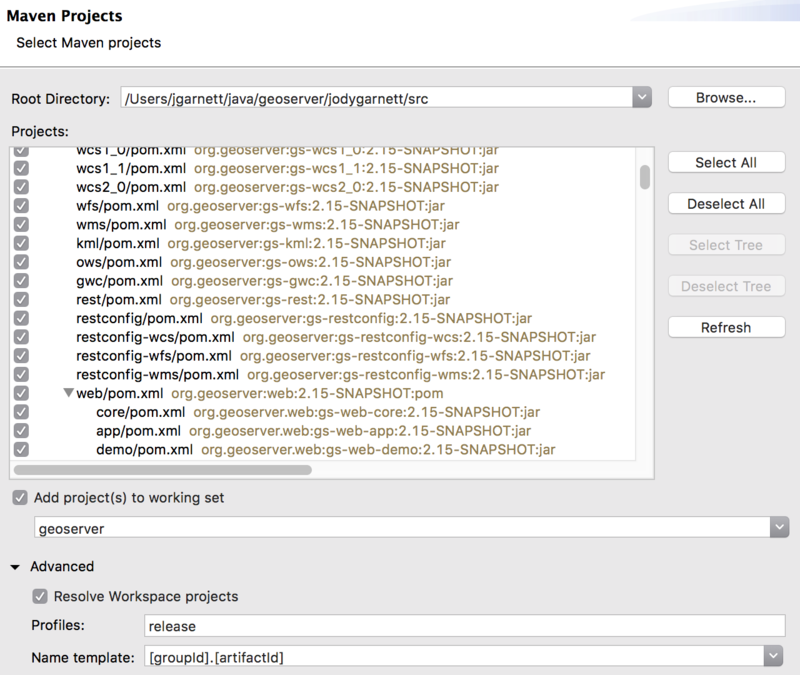 Select Maven ‣ Existing Maven Projects import wizard, and Next. Define the Root Directory by browsing to the GeoServer src folder. Press Finish to start import. During import import use Resolve Later, exclude lifecyce mapping. After running the first time you can return to the Run Configurations dialog to fine tune your launch environment (including setting a GEOSERVER_DATA_DIR). If you already have a server running on localhost:8080 see the Eclipse Guide for instructions on changing to a different port. The default admin password is geoserver.